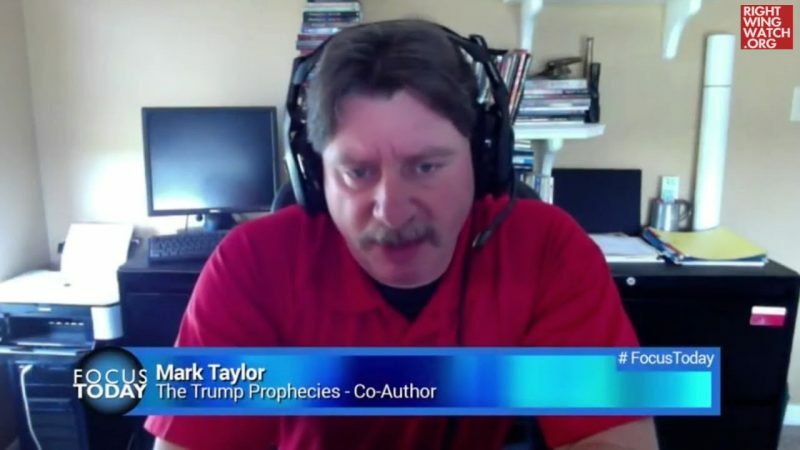 Former firefighter and current modern-day prophet Mark Taylor made yet another appearance on the podcast hosted by crackpot conspiracy theorist Sheila Zilinsky over the weekend, where the two insisted that President Trump’s decision to sign the omnibus spending bill last week was really a stroke of genius that showed he was outsmarting the literal devils surrounding him. Despite the fact that most right-wing activists were outraged that Trump had signed the $1.3 billion spending bill, Taylor and Zilinsky were convinced that Trump is “10 playbooks ahead” of everyone else and that an executive order he signed last year will allow him to seize any funding intended for Planned Parenthood. Zilinsky agreed, saying that “everybody is up in arms over this omnibus bill” because they simply don’t realize that Trump is “nine chess plays ahead” of everyone else in Washington.